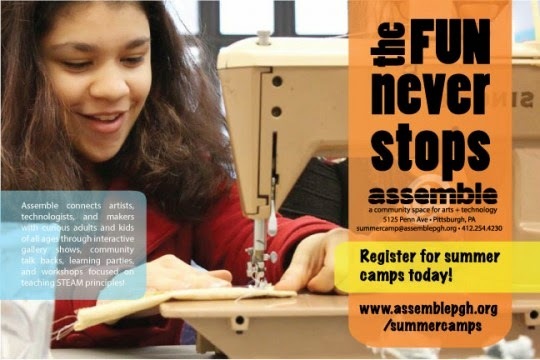 So if you haven't heard of Assemble Summer Camps, it's a good thing you're here. :) These are some really fun & creative camps with diverse topics! Have a favorite Instagram filter? Love optical illusions? Want to build your own home? Become a fashion designer? Come learn more about Design and what makes us love certain kinds of shoes, pens, and apps. Students will make and publish their own magazine on a topic that inspires them. Does your kid want to design the next Flappy Bird? or code the search engine that will unseat Google? Come to Assemble and let us help you get a start with Scratch! You can program your own interactive stories, games and animations- and share your creations with others in the online community Scratch helps people learn to think creatively. Scratch is a project of the Lifelong Kindergarten Group at the MIT Media Lab. 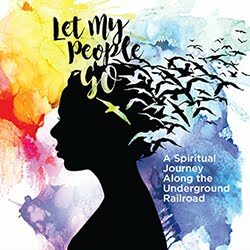 Wanna create art and create change? Join Assemble for a week of project-based learning, hands-on making, and community engagement! At Saturday Crafternoon Camp, we'll work with local artists and makers to learn new skills through make-and-take activities! Over the course of the week, we'll also assist a local organization in developing and carrying out an awesome community-based DIY project! Katerina Mondor is the instructor of the crafty camp which will also include algebra and entrepreneurship. Are you tired of sitting on the couch and playing the same old video games with the same old controllers? Come to Video Game Camp and design your own! No computer programming experience is necessary to create your own challenging adventure game, scroller, top-down, or maze game. Not only will you design the software, but you’ll also create your own controller. Anything you want can be used instead of a keyboard to control your game, so clean out your closets and bring along buckets, cardboard, bananas, or anything! Want to learn to bleep-bloop, scratch, and feedback? Wish you could build your own guitar pedals or produce beats? Join DJ Music Camp for a crash course in creating your garage, basement, or bedroom sound machine! Can you make the next internet video sensation? Come to Movie Camp with your ideas and you can write, direct, and act in a short film! Learning movie making techniques, editing software, film acting, and story developing will be worth all the work when you see your own idea as the next video meme! Can’t wait to get your hands on an Arduino? Always wanted to make your own ice cream? Eager to design things for 3D printing? Have a great idea for a science project? Assemble’s week-long STEAM Camps will give kids the opportunity to explore the intersection of science, technology, engineering, art and math through hands-on projects and experimentation. Do you think the egg is the plastic miracle material of the food world? Do you enjoy dirt on your lettuce? Are you more a techie than a farmer? Wonder how you can make things explode with simple (safe) pantry staples? Assemble’s Food Camp will explore these topics and more in partnership with the Garfield farm community and Digital Salad. Assemble is a 501(c)3 nonprofit organization founded by Nina Marie Barbuto dedicated to fostering learning and creativity. They connect artists, technologists, and makers with curious adults and kids of all ages through interactive gallery shows, community talkbacks, learning parties, and workshops focused on teaching STEAM principles (science, technology, engineering, art, and math). Assemble hosts these activities at their space in Garfield’s Penn Avenue arts district and at events throughout Pittsburgh.